The 25th edition of the “Grande Prêmio Brasil Caixa/Governo do Pará de Atletismo” proved to be a memorable one, as the “Estádio Mangueirão” in Belém – packed with 35,832 spectators – witnessed five world season leading marks and many more remarkable performances on the morning of 24 May. 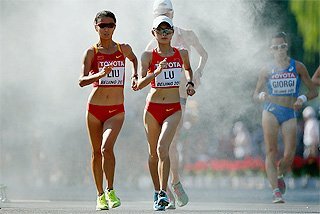 The Grand Prix event, part of the IAAF World Athletics Tour, marked the end of a cycle of fours events in Brazilian soil (Area meets: Fortaleza, Rio de Janeiro and Uberlândia) at which points could be acquired by athletes to qualify for the IAAF / VTB Bank World Athletics Final, to be held on 12-13 September in Thessaloniki, Greece. The weather in Belém was not surprise. The typical high temperatures ranged from 35 to 39ºC, but the humidity wasn’t as high as expected. 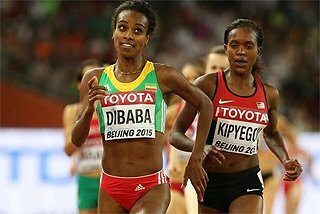 Perhaps that was one of the factors that helped the 100m race, ran with only 54% of humidity, fact that ended up being been a key factor. Antigua and Barbuda’s Daniel Bailey was able to profit from those helpful conditions, and produced a national record and world season lead of 9.99 - not counting the flying splits that Usain Bolt registered in his 150m street race on 17 May. Although running into a slight head wind of -0.3 m/s, Bailey confirmed the great form he had showed in previous races (10.02 in Kingston on 2 May, 9.93w in Spanish Town on 14 Mar). His 9.99 performance makes Bailey the 67th man to run under 10 seconds in regular conditions at the classic distance, and the first one to do it on South American soil. “This is a very fast track, but I’m hoping to run even faster at the Berlin World Championships; yet, I leave Belém extremely pleased”, said Bailey. American Mike Rodgers, who had won in all the previous meets in Brazil at the distance, was second with a PB of 10.01, while his compatriot Rae Edwards was third with 10.11. The 200m, divided in two races, also provided excellent results. The “A” race was taken by Jamaican Marvin Anderson with 20.15 (wind nil), a performance that will put him in the second place of the 2009 World lists. Rodgers, with a PB of 20.24, and Brendan Christian (Antigua & Barbuda) with a SB of 20.26, followed Anderson. The “B” race was won by Edwards with a PB of 20.17 (wind 0.3), followed by PB’s of Jamaican Ainsley Waugh (20.22) and Trinidad & Tobago’s Emmanuel Callender (20.40). Jamaican Isa Phillips, the 2008 CAC Champion at 400m Hurdles, produced the second world season leading performance in Belém with a comfortable victory in 48.36 sec. American LaRon Bennett ran a SB of 49.29, but was a distant second. Phillips, semifinalist at the 2007 World Championships and the 2008 Olympic Games, also set a PB that moves him to the sixth place in the Jamaican all-time lists where Winthrop Graham holds the NR with 47.60 since 1993. Before traveling from Uberlândia to Belém, Portugal’s Nélson Évora, the 2007 World and 2008 Olympic Champion at Triple Jump predicted that he would find his best form in the warm conditions of the capital city of the State of Pará. And the 25-year-old who was born in the Ivory Coast delivered a victory and a world season leading mark of 17.66m (wind 0.7), the third best performance of his life after the 17.74 national record that gave him the World title in Osaka, and the 17.67 which crowned him in Beijing. This was Évora’s third competition in Brazil, and also the third of the season. 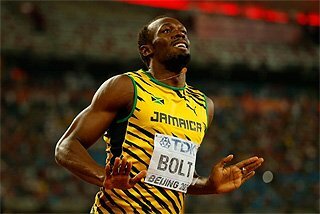 He previously had been third in Rio (17 May) with 17.11, and third in Uberlândia (20 May) with 16.92. His series in Belém was a very consistent one: 17.25/0.6, 17.07/0.0, 17.66, 17.06/0.7. “I am very pleased with my result. It gives a ton of confidence heading to the Berlin World Championships. I’m just beginning the season, so I hope to keep jumping this way. My goal is to reach 18m in Berlin,” said Évora. Cuban David Giralt, who had been in supreme form in Brazil with victories in Fortaleza, Rio and Uberlândia, reached 17.50m (0.0) in his third jump, but couldn’t beat the reigning World and Olympic champion. His compatriot Yoandri Betanzos, who up to Belém was the World lists leader with 17.65, was third with 17.38 (1.5), while another Cuban, Alexis Copello, was fourth with 17.30 (0.3), results that illustrate the quality of the competition. Sprinter Laverne Jones-Ferrette will also have plenty of reasons to leave Belém with a big smile. The twenty-seven years-old from the Virgin Islands took the victory in the 100m with a national record of 11.18 (wind nil), and 1 hour and 15 minutes later she repeated the feat at the 200m with another NR and WL mark of 22.49 (-0.8). 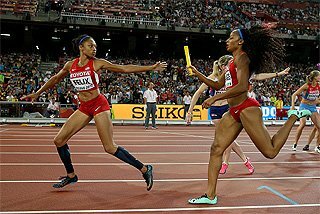 Jones-Ferrette, a 200m semifinalist at the 2007 World Championships who has ran 11.03w this season at the Texas Relays, beat American Rachel Boone-Smith at the 100m race (11.30 SB). In the 200m Jones-Ferrette left Trinidad & Tobago’s Kelly-Ann Baptiste in second place. Baptiste ran 22.60, a new national record. Cayman Islands Cydonie Mothersill was third with a SB of 22.79, while Boone-Smith was fourth with another SB 22.87. Twenty-two years-old American Brittney Reese arrived in Brazil as the leader of the 2009 world lists, but in the Rio GP she was beaten by the Olympic champion Maurren Maggi and fellow Brazilian Keila Costa. In Belém, Reese came back to score a magnificent victory and to extend her world season lead and PB to 7.06m (0.7). The performance puts Reese in the third place of the all-time US lists, behind Jackie Joyner-Kersee’s 7.49 (1994), and Marion Jones’ 7.31 (1998). 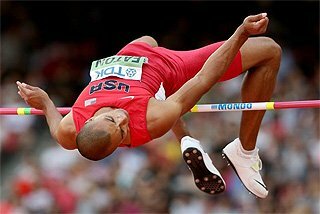 The former student of the University of Mississippi also became the sixth American to jump over 7m outdoors, and the country’s best – so far – in the millennium. Reese, who was at the top of the 2009 world lists with her 6.99m from the Super GP of Doha (8 May), dominated the event from her first jump. Her series was: 6.75 (0.3), 6.78 (1.0), 7.06 (0.7), 6.82 (0.7). Costa ended second with 6.72 (0.6), while Maggi had an off-day. Started with two fouls, and followed with 6.50 and 6.59 (-0.1). “I couldn’t find the board. 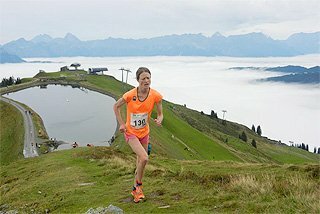 My approach was very inconsistent”, said the Olympic champion. It is very possible that this 25th edition of the Brazilian GP has been one of the best ever. 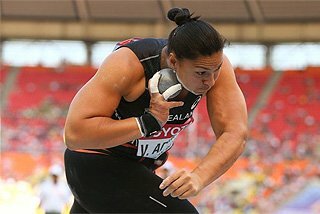 So, besides the world leading marks and national records, there was plenty more to comment about; for example, the great performances of New Zealand’s Valerie Vili, American Sheena Tosta, Brazilian Fabiano Peçanha, and Slovenia’s Primož Kozmus. The 24-year-old Vili, the 2007 World and 2008 Olympic champion, had still some magic left after her 20.69m Oceania record and world lead from Rio, and her 20.40 victory from Uberlândia. In Belém Vili won with a 20.25 put from her third round, to beat the Beijing silver medallist, Belarus’ Natallia Mikhnevich (19.89). “I loved competing in Brazil”, expressed Vili. 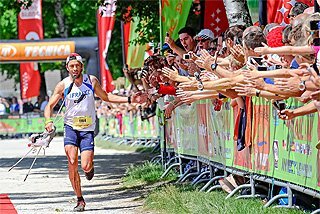 “The people here are very nice, and this country brings me good luck”, added the World and Olympic champion. 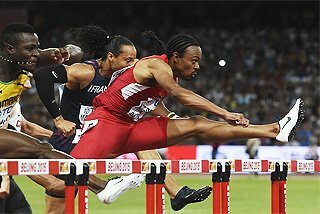 Tosta, the silver medallist of the 2008 Olympic Games won the 400m Hurdles with a season’s best of 54.19 sec, just 2/100 off the world lead of her compatriot Lashinda Demus. Trinidad & Tobago’s Josanne Lucas was second with a national record of 55.24, and Brazilian Lucimar Teodoro was third with a new South American record of 55.84. Peçanha provided one of the two Brazilian victories of the day at the 800m – the other one was accomplished by Pole Vaulter Fabiana Murer with 4.40m at a jump-off tie-break. 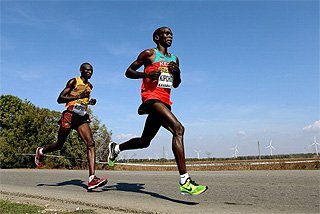 The 26 years-old Peçanha, semi-finalist at the Beijing Games and bronze medallist at the 2007 Pan-American Games, moved to the fourth place on the 2009 world lists with his winning mark of 1:44.63; Peçanha beat compatriot Kléberson Davide by 2/100. Davide set a PB (1:44.65), as did Kenyan Reuben Bett (1:44.79). 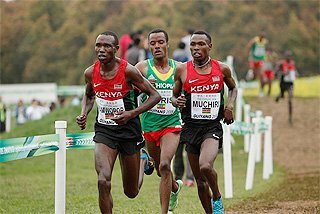 The race was pushed along by Kenyan Philemon Kimutai (49.82 at 400m), and this time around, Peçanha’s finish proved to be stronger than Davide’s, who had beat him in Rio and Uberlândia by small margins. Kozmus, the reigning Olympic champion of Hammer throw also took revenge from a previous defeat, and won his event with a SB of 79.90, performance that places him third in the 2009 lists. “My marks have been improving after every competition. It has been a very positive experience to come to Brazil, and now I move forward to Berlin with much more confidence”, declared Kozmus. Tajikistan’s Dilshod Nazarov, who had beaten Kozmus in Uberlândia with a national record of 79.28, was second in Belém with 78.47, while Italian Marco Lingua was third with 76.57. The winners of the remaining events were: Men: 10,000m: Kenyan Robert Sigei with 28:21.25; 110m Hurdles: American Ryan Wilson with 13.48 sec (0.2); High Jump: American Jesse Williams with 2.33m. 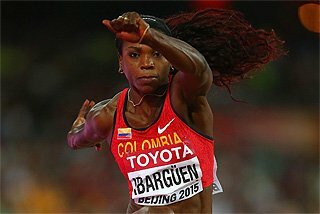 Women: 400m: Jamaican Bobby Gaye-Wilkings with a SB of 50.91 (second in the 2009 lists); Discus: Cuban Yarelis Barrios with 62.05m; Javelin: Cuban Osleidys Menéndez with 62.24m. In the Javelin, Brazilian Jucilene de Lima was sixth with a South American Junior record of 56.75m.